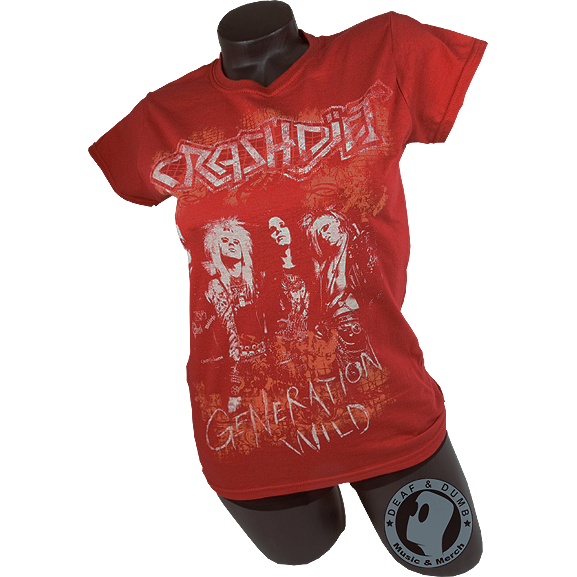 Cherry Red ladies t-shirt with print on one side. Lady shirt = smaller sizes. Fits boyz as well though! Really cool shirt! fits great and the color is awesome! Så jävla snygg tröja!! Älskar att ni har en grymt frän tröja för tjejer, eftersom de inte är de lättaste att hitta. A beautiful quality, perfect fit, plus the striking red is amazing! The design just totally rocks, obviously! This shirt is awesome! Im a dude so the sleeves were a little funny for me but i i trimmed em and its the sickest tank top! Cheers!